Elite St Meloir Gate designed to compliment the St Meloir fence panels. Constructed from planed pressure treated timber. The strong horizontal slats are rebated into the surround frame. 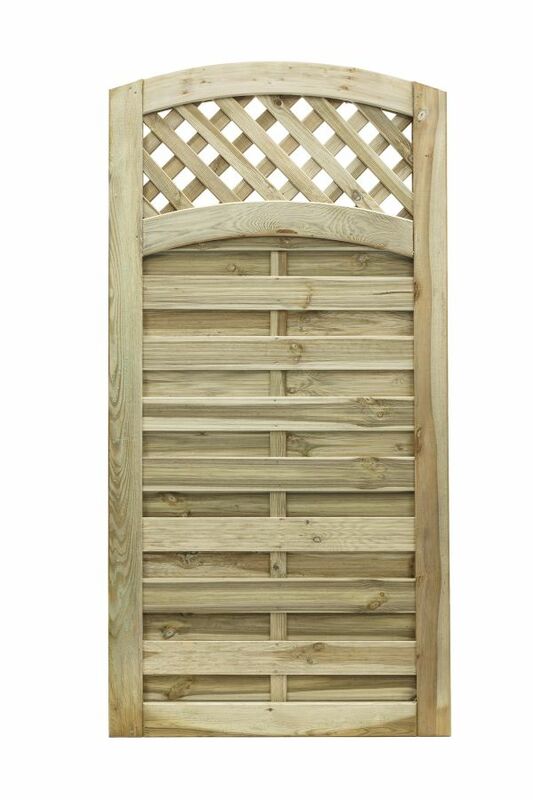 A section of diamond lattice work finishes of this stylish pedestrian gate. The St Meloir gates is available in two heights 1.80m and 0.985m.